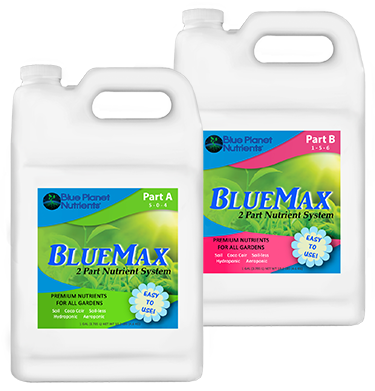 The Blue Max 2 Part Series is an easy-to-use base nutrient system designed for both beginners and advanced growers. It is a complete nutrient system which provides all essential nutrients required by fruiting and flowering plants. Each part plays an essential role throughout the plant's growth and development, providing all primary, secondary, and micronutrients for the specific requirements of fruiting and flowering plants. 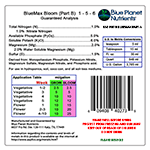 Blue Max is an outstanding Base Nutrient System is a known for its reputation among commercial growers to consistently produce some of the finest flowers in the industry. This nutrient system is also ionically-balanced to maximize nutrient use efficiency. Blue Max is the perfect choice for a range of water profiles from hard to soft. 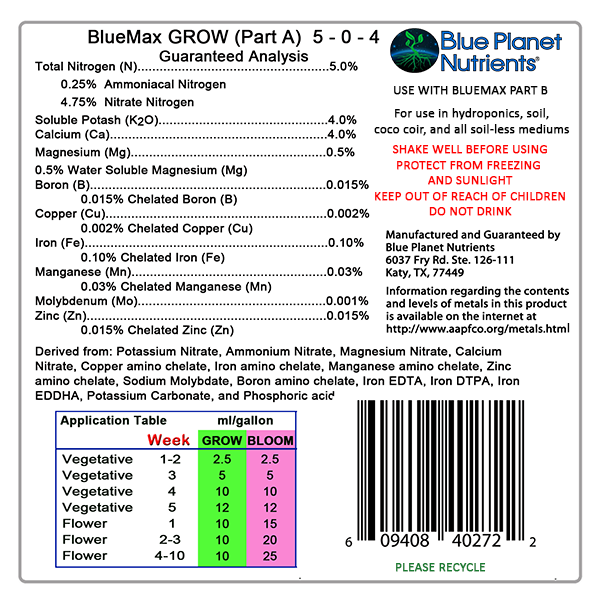 Together, Blue Max A + B provides all primary, secondary, and micronutrients for the specific requirements of flowering plants at each stage of growth. 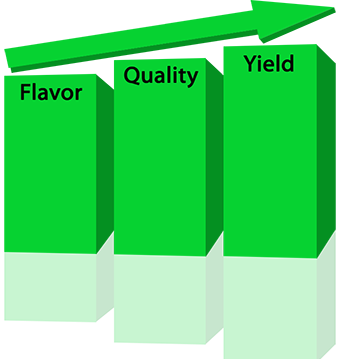 Beginning with lush vegetative growth through the final stages of flower, plants grown with Blue Max produce flowers that are higher quality, have better flavor, and higher yields than other 2 part formulas on the market. 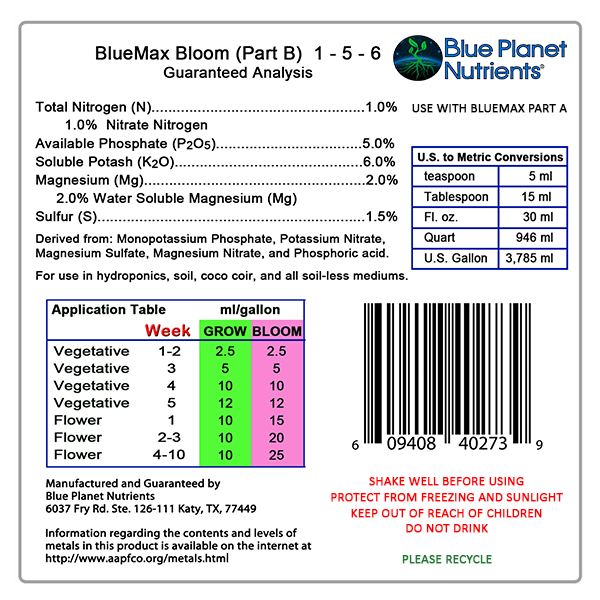 Part A - Supplies your plants with Nitrogen, Potassium, Calcium, Magnesium, and Micronutrients. Part B - Supplies plants with the precise amounts of Phosphorus, Potassium, Magnesium, and Sulfur for high yields at every harvest. 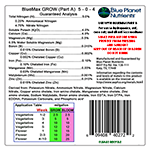 Blue Max A + B is tailored to maximize the yield of your high value crops.